Top Five Reasons to Teach English Abroad! 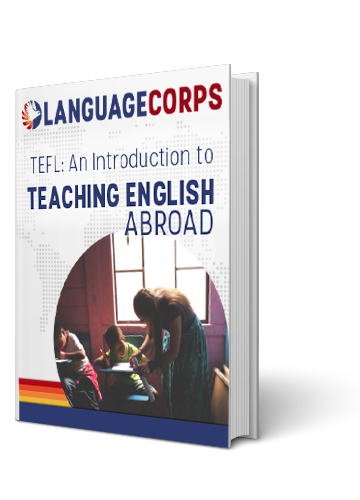 Packing your bag and heading off to a foreign land to Teach English as a Foreign Language (TEFL) is not an easy decision. It requires a lot of planning and some soul searching, and in the end, quite a bit of courage. But with the year halfway over, there is no better time to venture into the unknown and expand your horizons. So with that said, here are our top five reasons why you should teach English abroad! Put those plans into action! Are you feeling stuck in your current career, and unsure of what your next move might be? Does one day blend into the next? Do you dread hearing the cursed alarm buzzing in your ear every morning? These are all symptoms of a common affliction in Western culture – Stagnant Career Syndrome. What better way to gain a fresh perspective than immersing yourself in a foreign culture? Teaching English Abroad doesn’t have to mean the end of your current career. Many people choose to teach English for a year or two (or three or four or five), before returning to their career back home with a clearer set of goals and a renewed sense of purpose. Spending time abroad is a great way to diversify your resume, showcase your flexibility, and clearly demonstrate your excellent leadership skills. So stop thinking of your time abroad as career suicide – it might just be the best decision you’ve ever made. But there’s no reason why you HAVE to go back to your old career! Teaching English Abroad can open up a whole new set of career paths that you may have never even thought about. International diplomacy, business and education development are just a few that come to mind. Check out one example of a LanguageCorps teacher that went on to become a Fullbright Scholar and CEO of a fair-trade fashion company. You will make a genuine, lasting impact on the students that you teach. In many countries, education is the single, most important way to break the poverty cycle. Learning English opens up opportunities for higher education and career paths that otherwise would not be possible for these young students, and you are no small part of that. Teaching English will be hard, but it will make you feel younger, and you will laugh like you never have before. Let’s face it, no one chooses to Teach English Abroad to get rich. But, pick the right location, and you’ll feel like you already are. Especially in Southeast Asia (the strongest TEFL job market in the world right now), the cost of living is low enough that your teaching salary will go a long, long way. Enjoy a delicious meal from a street market in Thailand for about $0.50 USD, a comfortable apartment in Cambodia for $100 USD a month, and easily take the bus to one of innumerable secluded beach paradises, where you can enjoy dollar beers in your bungalow and make all your friends back home jealous. In most TEFL jobs, knowing the local language is not required. But, that’s no reason why you can’t learn. There is no better way to learn a foreign language than total immersion, and while living and working abroad, you will have countless opportunities. Many teachers will even offer to exchange English lessons for local language lessons. And once you pick up the basics, you can take your skills to the local bar and REALLY master your new tongue. And when (or if) you decide to return home, knowing a second (or third) language will make you that much more valuable to perspective employers. No matter what your destination is, Teaching English Abroad will provide with you a plethora of stories to tell. You might find yourself riding a motorcycle through rural Cambodia, basking in a tropical paradise, walking the Great Wall of China, photographing a breathtaking European cathedral, or simply enjoying the controlled chaos of a classroom full of lively kids. But one thing is for sure, you won’t be stuck in an office forty hours a week. With all the practical benefits of Teaching English Abroad, the most important one is often lost in the mix; it’s a damn good time!